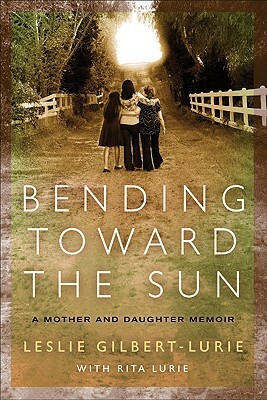 Bending Toward the Sun, billed as "a mother and daughter memoir" on the front cover, is the memoir and history of Rita Lurie, a Holocaust survivor, and her daughter Leslie. Though not the next Night, the book is captivating and intriguing, detailing the horrors of the Holocaust, the traumas inflicted upon its survivors, and how these traumas are carried from one generation to the next. To call this purely the story of a Holocaust survived is to oversimplify the history contained in these pages. In chronicling her history, Rita Lurie comes to the end of World War II on page 52 of this 350+ page book. Rather, the focus here is on the aftermath of the war, the impact it had on those who survived. It is a family history, detailing strife between father and daughter, sister and brother, uncle and niece. It is an account of the depression that many trauma survivors must learn to live with. It is an account of a family's attempts to understand each other, communicate, and ultimately survive. Flawed editing throughout the book required occasional re-reads of sentences or even paragraphs, with misplaced pronouns often confusing the subject of any given action. Though sloppy, these are rare enough that they fall into the category of "minor annoyance" rather than "hindrance to story flow." Bottom Line: Photographs and first-hand accounts throughout the memoir bring the experiences of the Gamss (Lurie's maiden name) family to life. This story of Holocaust survival goes beyond the war, however, and its emphasis on post-war impact makes the story personally relevant even to those who do not have a similar family history. Any readers with a relative struggling with depression will understand the emotions of both Rita and her daughters. Any readers struggling with depression or guilt themselves will understand. In this, as much as in the history it holds, Bending Toward the Sun is a story of resilience, relevant to understanding 20th-century experience and in forging ahead in the 21st. Note: Many thanks to Julie Harabedian at FSB Associates for providing a review copy.